As I write this, there's "the storm of the century" happening outside my window. At least that's what the media is saying. 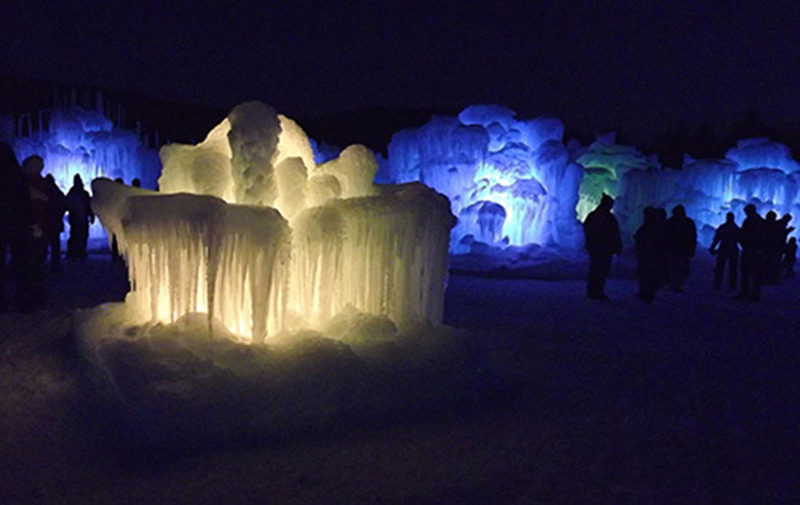 I just wanted to tell you about the "Ice Castles" in Lincoln, NH. Our family took a little trip up to Lincoln this past weekend and were in awe of the magnificence of the hand made walls of ice. These frozen walls of beauty were a sight to see. There are different rooms, hallways, a throne, a wishing well and a fozen fountain to name a few. 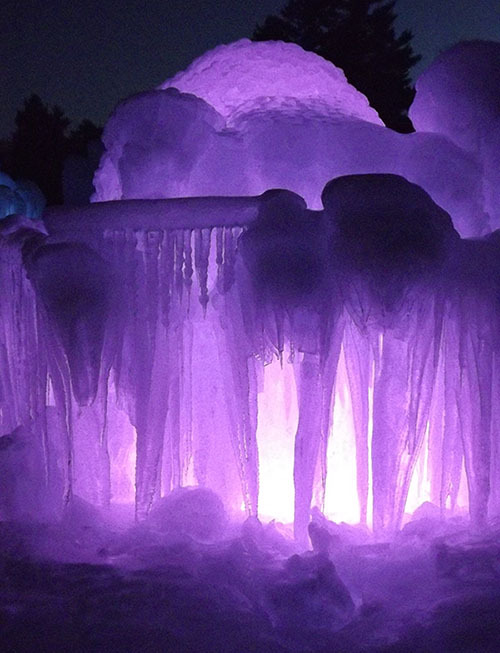 We went at night to see the ice lit up, but going during daylight hours will be great for the little ones. At first, I thought it would be shaped like a castle with blocks of ice creating different rooms. But, it isn't. That's okay because it had a magical quality about it that still took your breath away. The whole family will enjoy the trip to see the ice castles. There is a tunnel and an ice slide that the kids will enjoy trying out. It will be cold, so dress warm. I'm glad I put on snow pants, snow boots, ski gloves, neck warmer and wool hat. Since you're surrounded by ice, lightweight fashionable clothes just won't keep you warm. The kids will love this...Every Saturday from noon until 3pm, the Ice Queen visits the Lincoln, New Hampshire. It will be like experiencing their own time with Elsa. Make sure you bring your camera, phone or ipod to snap those pictures! Afterwards, you can head into the Hobo Railroad building to warm up. There is all kinds of merchandise for sale as well. Hats, scarves, socks, books, make your own ice globe kits, etc. If you want to experience both day and night viewing, go during the late afternoon and stay until after dark. Or, you can go in the afternoon, leave and come back when it's dark. Figure out what works best with your schedule. And it's fun to go when it's snowing, too.